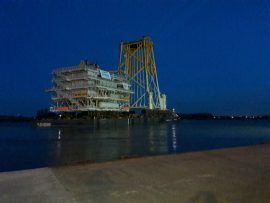 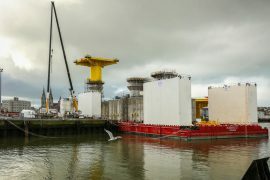 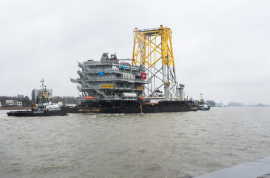 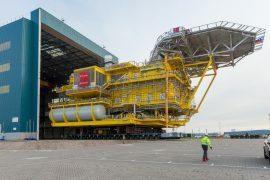 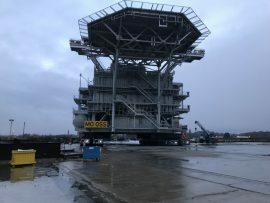 Smulders sent off the jacket foundation for the EnBW Hohe See offshore substation (OSS) from its yard in Vlissingen on 29 May and the structure is now travelling to the German project site in the North Sea, where it will be installed on 31 May or 1 June. 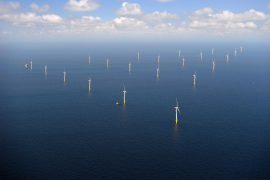 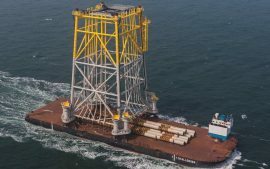 EnBW has started the offshore construction on two wind farms in the German North Sea – the 497MW Hohe See and the 112MW Albatros. 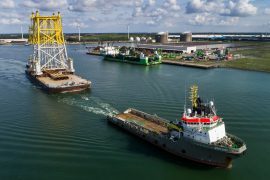 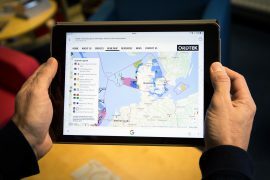 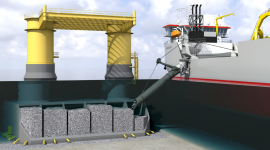 Jan De Nul Group has taken delivery of the multipurpose vessel Adhémar de Saint-Venant which as of next week will start working on the Kriegers Flak OSS project in Denmark. 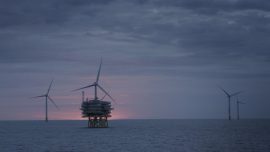 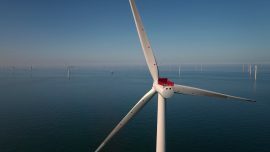 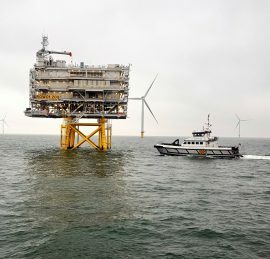 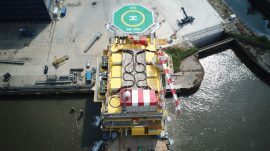 The second offshore substation built by the Engie Fabricom/Iemants consortium for DONG Energy’s 660MW Walney Extension wind farm has set sail from the Engie Fabricom site in Hoboken, Belgium, bound for the wind farm in the Irish Sea. 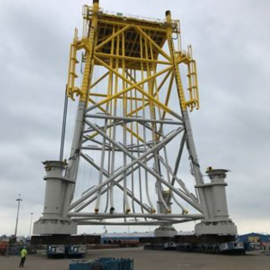 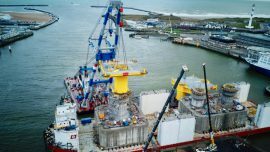 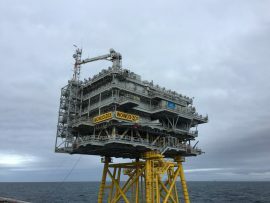 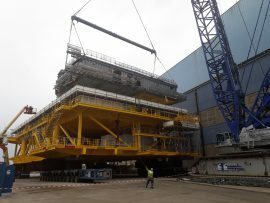 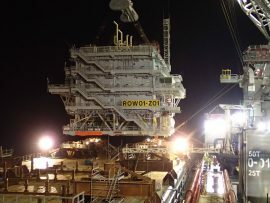 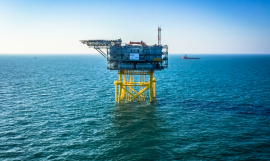 Following the installation of the jacket foundation on 15 March, the 2,900t topside for the second offshore substation at the Race Bank offshore wind farm was installed over the weekend. 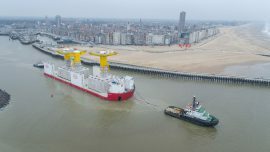 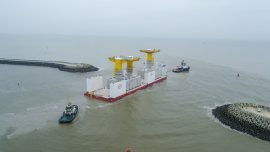 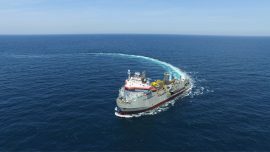 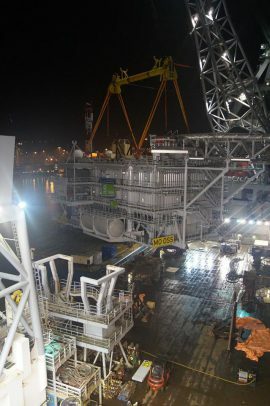 The Engie Fabricom and Iemants consortium has shipped the first of two offshore substations built for DONG Energy’s 660MW Walney Extension offshore wind farm in the Irish Sea from the construction yard in Hoboken, Belgium.